As you depart the port of Kusadasi you will find your guide waiting for you with a name card for easy recognition. 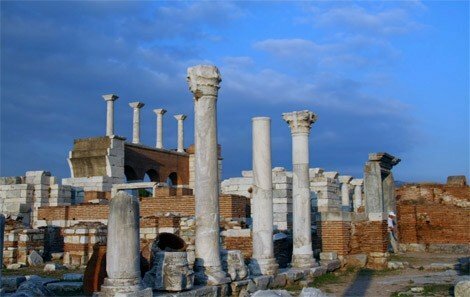 Today you will be taken to visit the amazing ancient sights in the Ephesus and Selcuk areas. 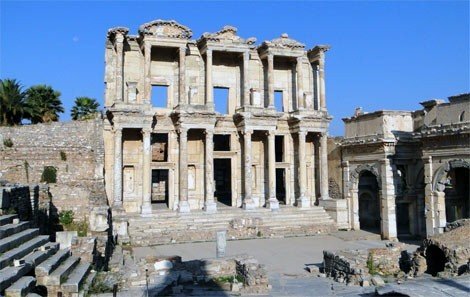 The ruins of Ephesus are some of the best preserved ruins in todayâ€™s modern world. The ruins are supremely preserved for you to really get an idea of how important this ancient city used to be. Your professional tour guide will take you through the ruins for you to visit the amazing sights of the Odeon, the Temple of Hadrian and the very impressive Celsius Library. This is one of the most photographed buildings within Ephesus. You will also visit the Great Theater which in its day could hold up to 25,000 people and is still occasionally used for concerts today. The Temple of Artemis is one of the Seven Wonders of the Ancient World. Built back in the Hellenistic Age, the ruins of the Temple are now scattered throughout swamp land. You still get to appreciate the wonderful sculptured columns that are entirely made of marble. The Lycian King, Kreisos, built this temple back in the 6th Century B.C. Some of these ruins are now housed in the London British Museum. 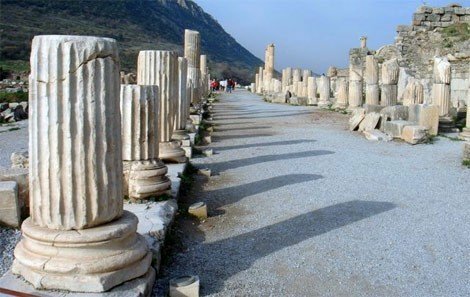 Do not miss a chance to visit the Terrace Houses section which is located inside the Ancient Ruins of Ephesus and has an extra entrance fee - 15 USD per person. "The houses of the rich Romans", the oldest building, dates back to the 1st century BC until the 7th century AD. You will be able to see amazing mosaics and frescoes and the famous water-running and heating system with clay pipes. Anyone who has seen it will tell you that it is one of the highlights of this place as you can really picture the lifestyle of the people in that period. In this section there are over 100 stairs so we do not recommend it for people with physical disabilities. It takes a minimum of 30 minutes to visit.